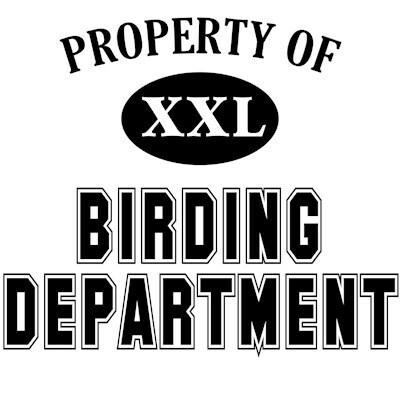 This Property of Birding Department collegiate-style logo is a great design for birders everywhere. Birdwatching is a fun and popular hobby for anyone! These great birding t-shirts and novelty items make great gifts for birders. To order by phone, call toll-free at 1-877-809-1659 from Monday - Saturday 9:00am - 9:00pm EST. You'll need to note the Product Number 030-219508950 to make your order.